When it comes to a kayaking, weight is a significant factor to weigh you down. If you are a lot larger than expected, then the sea kayak will need to handle that. Some kayaks are able to be unisex and apply to any person, until the weight becomes an issue. The last thing that needs to be done is make sure training is in place to lose weight, so you are able to weight down your boat as little as possible. As this is concerned, just be sure to have your children learn how to swim before hopping into a kayak, because if the kayak were to flip over, the last thing that is needed is for a child to drown. THINK ABOUT THAT. Do you really want to put your hope into something that may not end up being a smart choice? Whenever kids get around and near water, always be sure to teach them how to swim before you ever decide to put them in a kayak. There are more than enough stories of people who have drowned because of something as simple as not being prepared. There is a kayak that is dedicated to covering long distances and many, many items, such as a bulky load of food or some camping equipment. To get a higher amount of space to carry items, just know that you are going to be increasing the kayak’s length, width, and depth, which inevitably means that you are going to be creating drag for your kayak. You do not want to end up doing something that may cause your trip to be a lot longer than usual, just because you attempted to do something foolish. If there is a large load that needs to be carried, that needs an expedition boat. For those that want to race in competitions, the speedy kayaks are the way to go. It is essentially like an exhibition kayak that is lighter weight that allows you to be first in the race against all the other wannabe kayakers! After that, you are able to end up putting the ribbon on that kayak to show how great you are doing. The difference is that when you want to travel on a large trip, you do not take a sea kayak! You do not want to sink in the race, because that would be a tragedy. 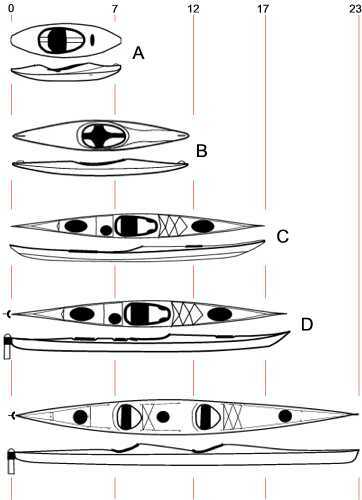 One difference is that there are different kayaks offer different personalities and traits. In future posts, we will talk about different types of kayaks that come to play. After all, when it comes to this game, we are the best in the field.